Over eleven percent of the population over the age of five speak a language other than English at home, the large majority of which speak Spanish. The fastest growing ethnic group in Omaha are the Hispanic people. The Hispanic population has more than doubled since the year 2000. There are more than ten Native American tribes represented in the greater Omaha area. Omaha has become one of the primary designations for Sudanese refugees in the United States. It is home to 10 South Sudanese people groups such as the Nuer, Dinka, Bari, Azande and Maban people, most of which speak the Nuer language . 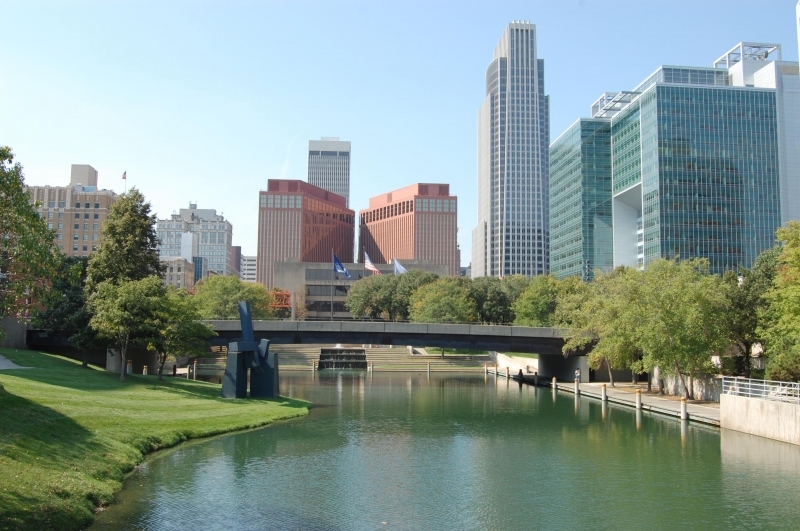 Omaha was originally located in the territory occupied by the Omaha Native American tribe. Much of the city's history and culture is derived from its Native American roots. There is still a remnant of the different tribes that were located throughout the state of Nebraska. Moving on into the early and mid 20th century, the primary ethnic makeup of the area was European. There were significant immigrant populations from Western European countries such as Italy, France, Spain, and Germany, and Eastern European countries such as Poland and Russia. However, more recently the ethnic landscape has undergone a drastic shift. The largest foreign-born group in the greater Omaha area are the Latino people. They comprise more than half of the immigrant population, and they are the fastest growing people group in the metro area. The largest is the Mexican people group, and there is also a growing Central American population from countries such as El Salvador, and Guatemala. The large majority of the Hispanic foreign-born population have arrived in Omaha after 1990, and the immigration rate is expected to increase in the future. The area also has a growing Asian population as well. The Asian people are the second largest ethnic group. and the majority of the people have arrived after the year 2000. The city has decently sized Vietnamese, and Chinese populations, and the city looks forward to a developing Eastern Asian population. There is also a small but growing South Asian population the majority of which are from India. Displaying 1-25 of 28 results.